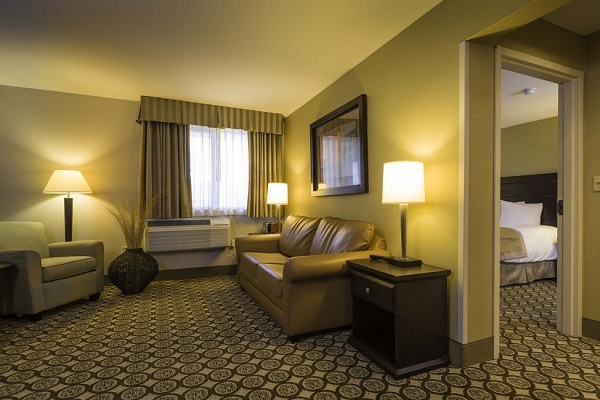 With a multimillion dollar makeover in 2016, the Best Western Plus InnTowner Madison continues to be a choice hotel for many couples as the Best Western Plus InnTowner Madison is a Madison tradition for intimate receptions and weddings. From large celebrations to small intimate gatherings, the Best Western Plus InnTowner Madison's Team provides the attention to detail and the quality of service you deserve on your special day. Our Ameche Grand Ballroom features twelve large windows for natural lighting in addition to a twelve-foot ceiling. 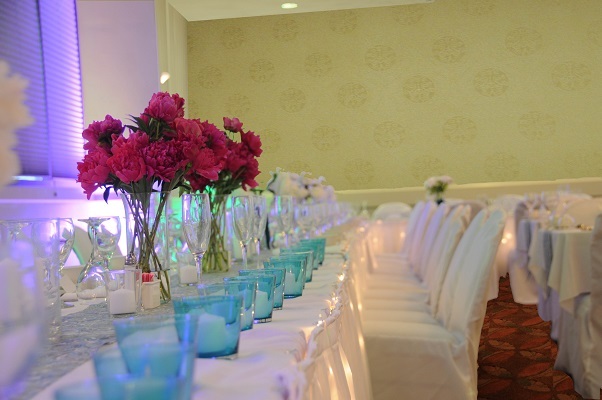 Our ballroom can accommodate up to 175 guests comfortably. Enjoy the new look and feel of this most popular room. The quaint Bascom Room accommodates a variety of seating configurations. The unobstructed space of this room has made it a favorite of all brides with the ability to entertain up to 100 guests. For an intimate reception or a gift opening, look no further than the Van Hise Room. This private room can accommodate up to 50 guests for your special occasion. Served plated or buffet-style, we can accommodate groups of 10 people to up to 175 people in one of our private banquet rooms. Select items off the Highland Corner Grill restaurant menu, or customize your meal via our Wedding Planning Guide. Select items off the hors d'oeuvres menu to keep the party going strong as the night goes on. Invite your closest friends and family on your special night in a private room with an array of dining and beverage options. Allow our team at the InnTowner take care of your guests on this joyous occasion! The Best Western Plus InnTowner Madison specializes in providing a hassle free experience for you and your guests on your special day. Room rental fee is $800.00 for the Ameche Ballroom and $400.00 for the Bascom Banquet room, which includes all linens, formal tableware, set-up and take-down. Contact the on site Wedding Planner at the InnTowner and allow us to assist you with the planning of your special day. We aim to keep it simple, memorable and within your budget.